Making Businesses Happy Since 1995! Your business has invested in a facility, and carpet, to maximize your productivity and present the proper professional image. Don't let your carpet let your business down! White Cleaning Services is ready to perform the high level of commercial carpet cleaning to keep your carpeting and your office space looking impressive. We utilize a very professional, truck-mounted carpet extraction system that gives you an industrial strength clean. Our cleaning products, our equipment, and our thorough techniques will do the job in pulling out the dirt and restoring the look of all your carpeting, no matter what type you have. 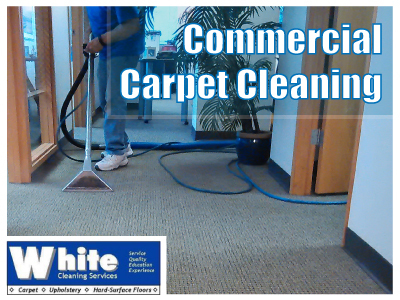 We've been handling commercial carpet cleaning accounts for decades. White Cleaning Services prides itself on earning your business no matter what type of maintenance schedule your carpet requires. We can work around your hours for ultimate convenience, and we can make sure to tackle the high traffic areas and tough spots or stains as part of the service. 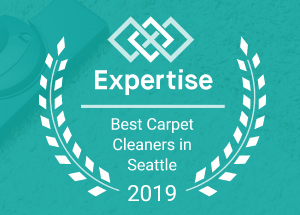 On top of the excellent quality of service, you'll be pleased with our ability to be affordable and competitive with our carpet cleaning quotes. Our company is built on quality performance, excellent value, and clean carpet results that ANY business would be proud of! Glenn White and his staff are ready for your call. Give White Cleaning Services the chance to make you another VERY pleased customer, and a repeat customer. Call us for an accurate quote at 206-915-4409 or fill out a contact form to get in touch with us. You'll be glad you did!